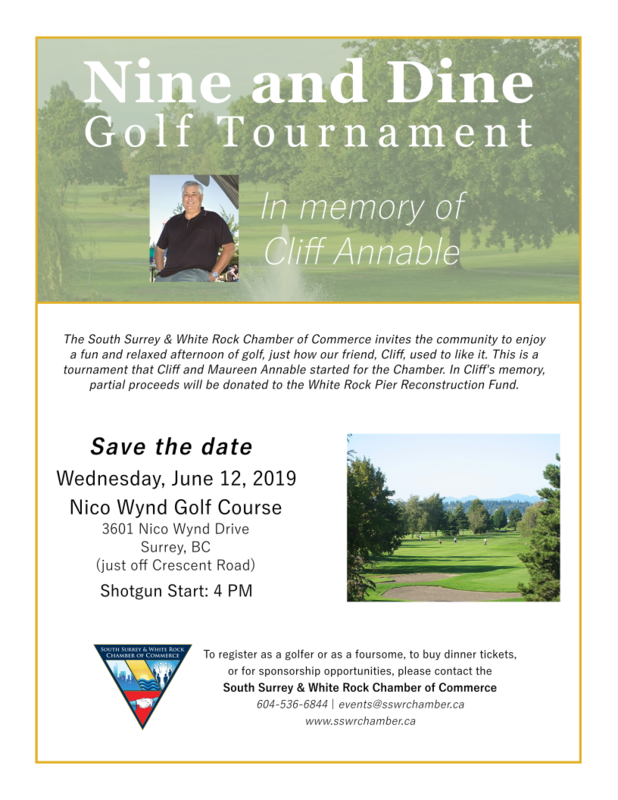 The South Surrey & White Rock Chamber of Commerce invites the community to enjoy a fun and relaxed afternoon of golf, just how our friend, Cliff, used to like it. This is a tournament that Cliff and Maureen Annable started for the Chamber. In Cliff's memory, partial proceeds will be donated to the White Rock Pier Reconstruction Fund.